Has someone ever caught your eye as soon as he or she walked into the room? Have you ever heard someone say, "I trusted her the minute I met her?" This is the wow factor and is often called executive presence - a blend of competencies, skills, energy and image that send all the right signals and play a big role in assumptions about a person's capabilities. What's more, it makes up 26 percent of what it takes to get promoted. 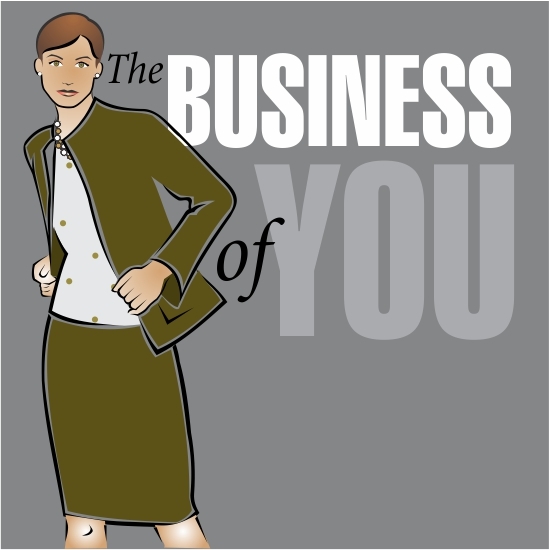 It's the Business of You. "Marion Gellatly spent time preparing for our employee image workshop and developed a tailored presentation, specific to our company and industry. She did not use an off-the-shelf generic presentation. She gathered information about our employees’ jobs, learned the types of attire that is expected for our industry, and showed specific examples of fabric choices, fabric colors, fit and tailoring, and clothing styles that would help our employees communicate their best image. Marion was very honest, yet tactful, in dealing with discussion points such as grooming. After the presentation, Marion remained to help individuals who wanted to ask her questions in private. Many of us now subscribe to Marion’s “Ignite your Style” monthly style tips. And, I’ve noticed that several employees are now wearing clothes that have a better fit, clothes that are more appropriate for work, and clothes that present a better more confident, polished image." Business meals are not for eating! And, business entertaining is critical to developing long-term relationships. At this fun and informative "hands-on" program, you'll learn that sharing a meal with a client is about establishing and maintaining rapport. You'll learn what's expected of the host, napkin etiquette, the difference in American and Continental dining styles, paying the bill and much more. You'll also learn what it takes to feel comfortable at cocktail parties and how to maneuver hors d'oeuvres, a wine glass, and deliver a handshake all at the same time. If you are a high-potential employee or manage an individual in your company that isn’t projecting a professional image congruent with the company’s brand, culture and goals, Marion will provide one-on-one coaching. She will guide you or the individual in developing the expertise to refine the professional appearance, communication and behavioral skills necessary to advance one’s career and align with the mission and goals of the position you hold or the company you represent. Call 831-625-200 now for a consultation or click the button below.